Delivery #4 of our CSA delivery was yesterday. We were warned that this delivery would be a little smaller as the spinach was not quite ready (it’s been raining a lot). However, I was still pleasantly surprised at our haul. 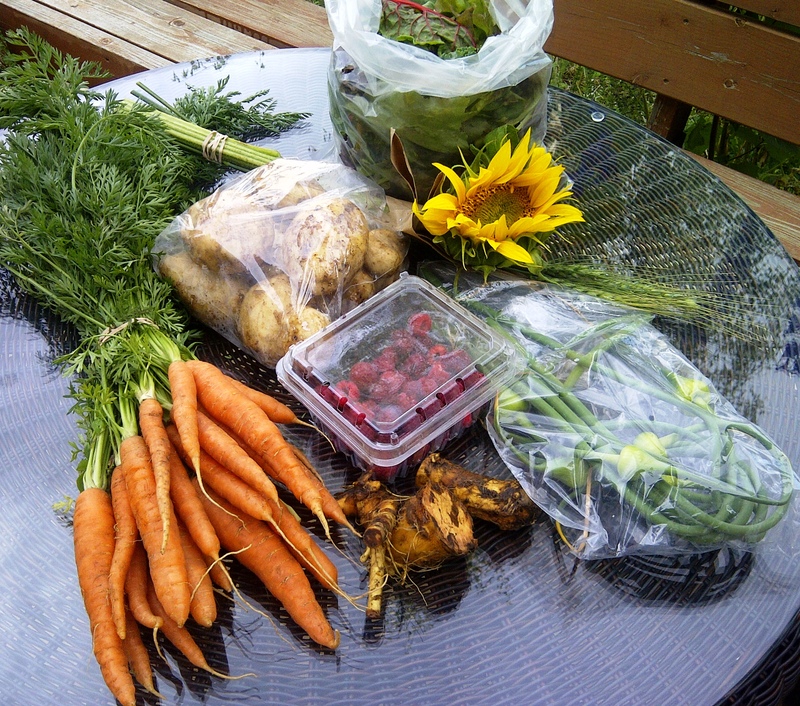 Potatoes, Carrots, Mixed Greens, Garlic Scapes, Horseradish, Raspberries and a glorious sunflower. I also picked up a ‘few’ more things at the market. Originally, I wasn’t planning on spending quite that much….but I just love fresh veggies and great bread. This week, I saw the Hutterite Colony for a dozen brown eggs and a beautiful bag of beets. I also picked up 3 dozen potato and cheddar perogies, 4 whole wheat pizza crusts and 6 amazing cheese buns. Dinner last night was a recreation of my favorite pizza from a traditional Naples-style pizzeria which I use to work at. 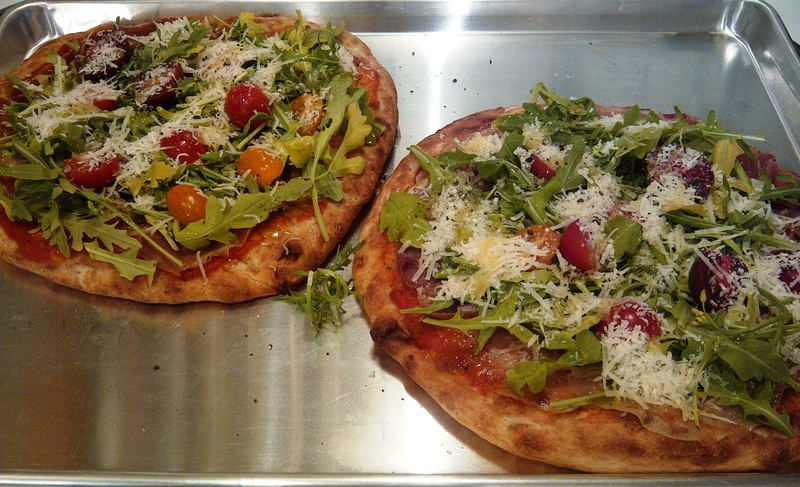 Readers….meet my homemade “prosciutto et riccola”. Not so authentic, but equally as delicious. Hubby gave it two thumbs up! Wow, your pizzas are gorgeous. Come and add your link to this week’s CSA link party party…http://inherchucks.com/2012/08/02/whats-in-the-box-37/. Looking forward to seeing you there!